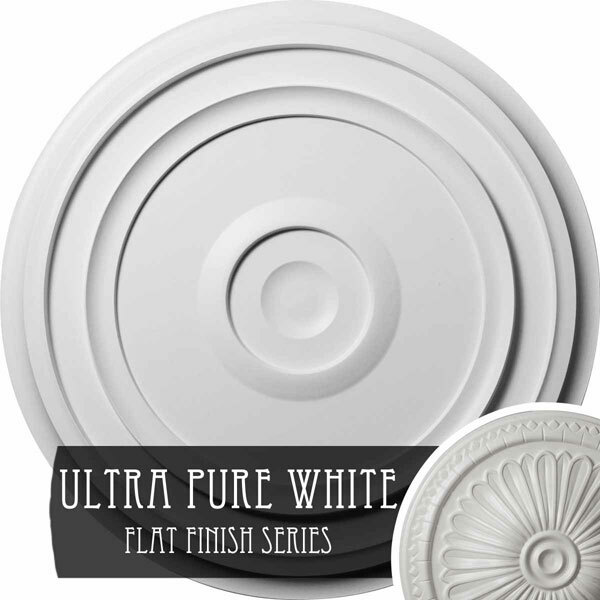 Enrich and upgrade your ordinary ceiling with a lightweight hand-painted beautiful medallion. One advantageous aspect of installing our medallions is it can be very inexpensive for the value and positive changes it can bring to a space. Hand-painted medallions add dimension and texture, character, and vintage charm with limitless designs to match every décor style. And we offer the largest collection of designs to give you that distinct look you desire and provide a lasting transformation. Our sturdy high-density medallions are made of the highest quality material, available for a fraction of the cost of traditional plaster or wood. Easy installation using common woodworking tools and adhesive provides a dramatic change with instant elegance and personality. Add luxury and attractiveness to an average ceiling fan, uninspiring light fixture, or get creative by mounting them on the wall with an open frame for a knockout art piece. Our broad range of truly unique designs and simple installation is sure to inspire a new project for the designer in you.